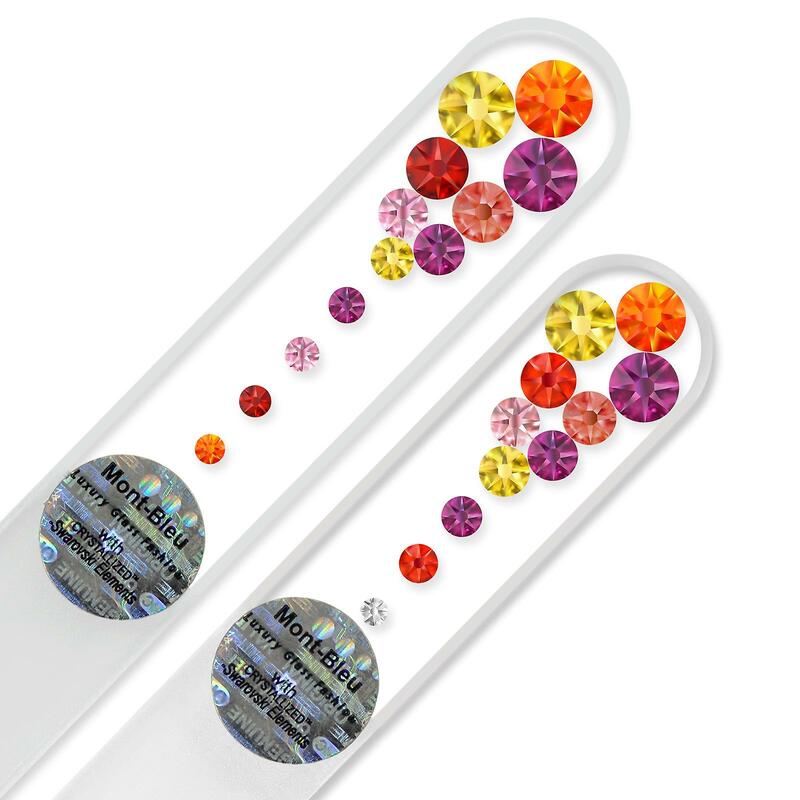 Glass nail files set with “Marbles Clear” design. Medium and small nail files: one for your purse and the other for home use. This set can make a great gift.Hand decorated with Swarovski crystals. 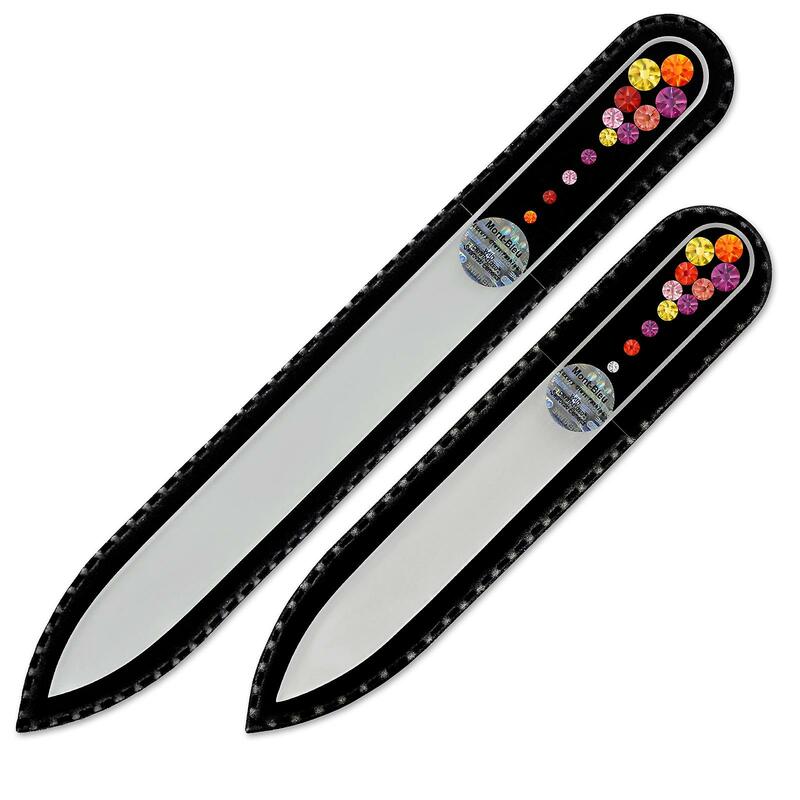 Nail files are made from Czech tempered glass in Bohemia and have a lifetime warranty on the filling surface. 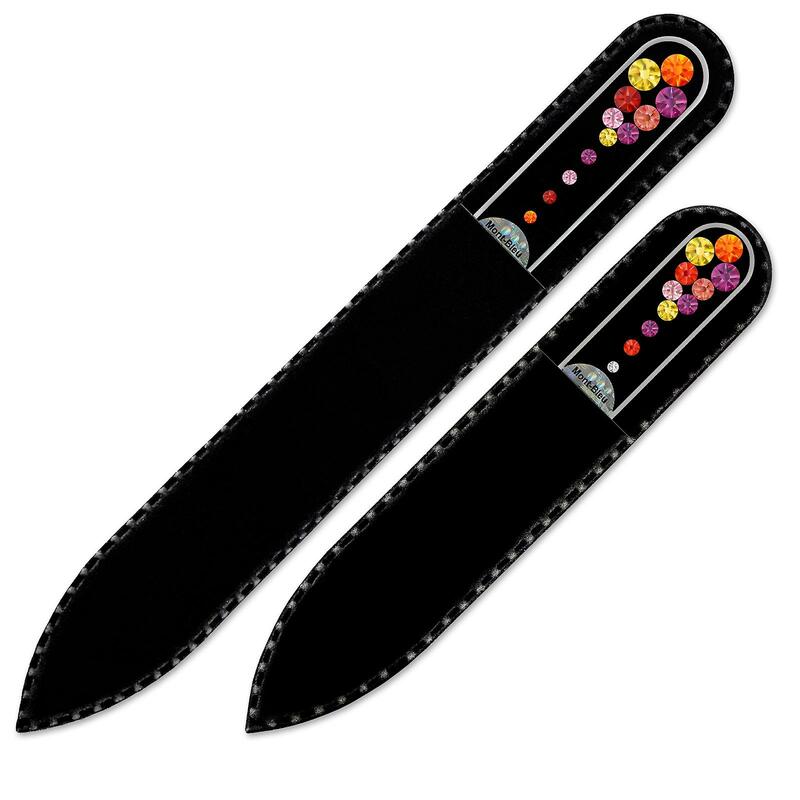 Files are presented in black velvet sleeves.Quantity of files in set: 2 | Made with SWAROVSKI® ELEMENTSBack to glass nail files sets.